Surprise!! I'm hopping on the Acorn Valley Blog Tour again!! This time with an outfit I sewed up for Quilt Market. I actually had the privilege of sewing up two versions of the Modkid Maya to photograph for an updated pattern cover. Then these dresses made their way to quilt market. Now that I have them back, I can share a bit more. The Maya pattern is one of Modkid's paper patterns available in stores or online. The pattern features two sleeve lengths plus the option to make a separate top and skirt or a one piece dress. Since the weather around here is super hot these days, I only photographed Avery's short sleeve outfit in more detail. 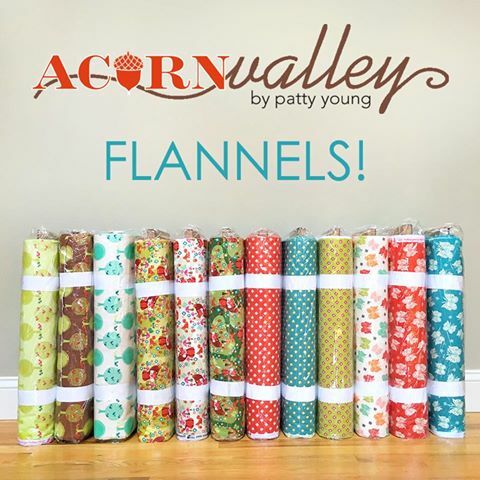 The knit fabrics are Patty's Acorn Valley line for Riley Blake. The prints include Flutter and Leafy Chevron in teal. The top features a ruffle chest detail and wide cuffs and waistband. The skirt also has the same wide waistband and just the right amount of gathering. These pieces work perfect together, but would work equally as well on their own. I actually think my girls would live in this skirt style! Today is the final day to take advantage of the pattern sale. Coupon code AcornValley2016 gets 25% off your entire purchase in the Modkid Etsy Store. Valid July 11th through July 22nd at midnight EST. Note, the Maya pattern is not available as a PDF pattern for the sale, but so many of my favorites are!! Be sure to enter the giveaway too!! Today is the final day of the Acorn Valley Blog Tour, so be sure to stop by each of the previous posts!! I adore those little foxes! Such adorable outfits Courtney! Loved seeing all the projects on this tour!